How do you order Rosuvastatin 40 mg online? Ever try ordering from Canada? 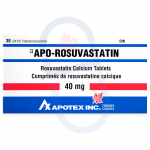 YouDrugstore is an online Canadian pharmacy where you can buy Rosuvastatin 40 mg for the same price that a Canadian would pay. Rosuvastatin is the generic alternative to Crestor. 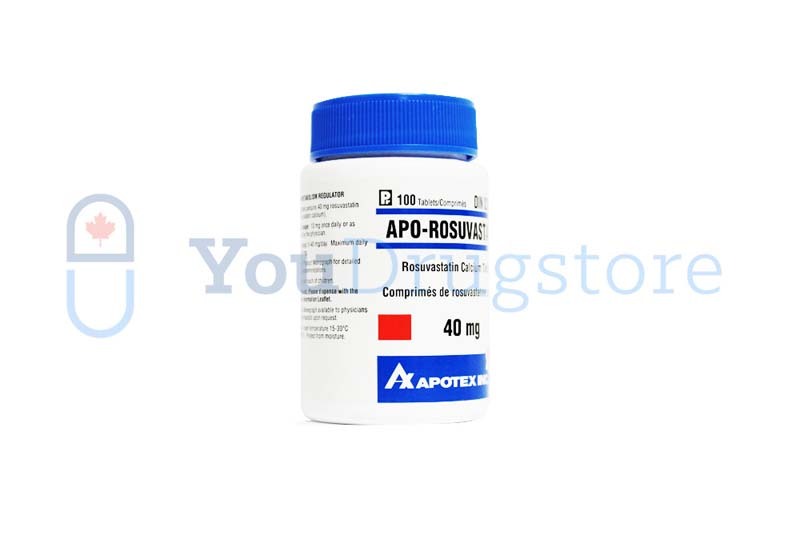 Purchase Rosuvastatin 40 mg from YouDrugstore and we will ship it right to you for an affordable shipping cost. 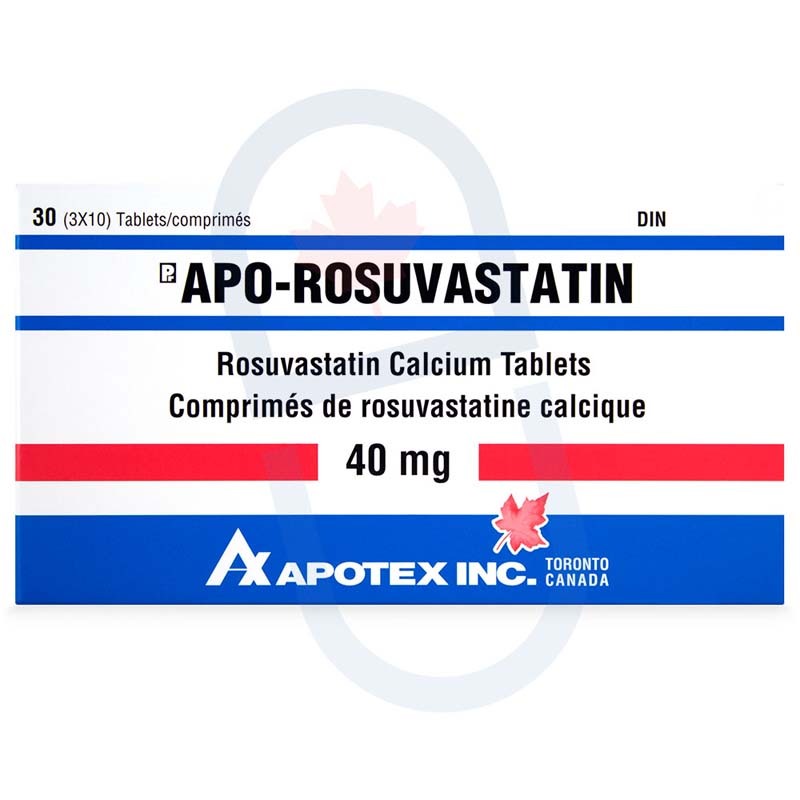 Simply register on our website and then send us your prescription for Rosuvastatin 40 mg. Once we receive your prescription our team of professional health care specialists will review your order. You can also ask your doctor about faxing us your prescription directly. Order Rosuvastatin 40 mg from YouDrugstore today and begin lowering your cholesterol. What are the side effects of taking Rosuvastatin 40 mg? You should always familiarize yourself with the possible side effects you may encounter when taking medication. Side effects are not very common when taking Rosuvastatin 40 mg; however, most side effects that are associated with taking Rosuvastatin 40 mg include constipation, joint pain, cough, trouble sleeping, dizziness, heartburn, depression, confusion, and forgetfulness. Because side effects are not common when taking Rosuvastatin 40 mg you should report any instance of these occurring to your doctor. Very rare but more serious side effects include fever, chest pain, extreme fatigue, flu-like symptoms, dark colored or foamy urine, jaundice (yellowed skin and eyes), and muscle pain or weakness. If you experience these side effects, stop taking Rosuvastatin and call your doctor. When should you take Rosuvastatin 40 mg? Rosuvastatin 40 mg should be taken every day. Your doctor will tell you exactly how you should take it. Normally, Rosuvastatin can be taken either on an empty stomach or on a full stomach. If you notice discomfort in your stomach after taking Rosuvastatin without food you should try taking it with food. The average dose per day for adults can range between 5 mg to 40 mg of Rosuvastatin. Normally, adults should not exceed 40 mg of Rosuvastatin per day. For seniors, the dosage can range between 5 mg to 20 mg of Rosuvastatin, and they should never exceed 20 mg per day. It is often the case that your doctor will prescribe a lower dose when you first begin taking Rosuvastatin, but a higher dose such as Rosuvastatin 40 mg is generally used to maintain your treatment. Why is Rosuvastatin 40 mg prescribed to treat high cholesterol? High cholesterol is dangerous and unhealthy. It is a fat-like substance that travels through your veins. Normally, cholesterol is an essential tool your body uses to form and protect cells. But if there is too much of it then you risk clogging your arteries, which causes heart attacks and heart failure. A good way to lower your cholesterol is to eat a healthier diet and to get more exercise, but for some even that is not enough to lower their cholesterol into a healthy range. When that is the case, your doctor will prescribe Rosuvastatin 40 mg. Rosuvastatin is the generic version of Crestor. It is used to slow your body's production of cholesterol, making it easier for your body to balance its cholesterol levels. It has been clinically proven to reduce your cholesterol levels by almost 50%. Register at YouDrugstore today and order Rosuvastatin 40 mg to lower your cholesterol. Who might receive a prescription for Rosuvastatin 40 mg from their doctor? A prescription for Rosuvastatin 40 mg will usually be made by your doctor only after you have attempted to lower your cholesterol naturally through exercise and a healthier diet. If your cholesterol levels still do not go down into a safe range, or if you are unable to change diet and get more exercise, then your doctor will prescribe medication. Unfortunately, you cannot take Rosuvastatin 40 mg if you are allergic to it or its ingredients, and you also cannot take Rosuvastatin 40 mg if you have had severe issues with your liver. Speak to your doctor if you have any questions or concerns.